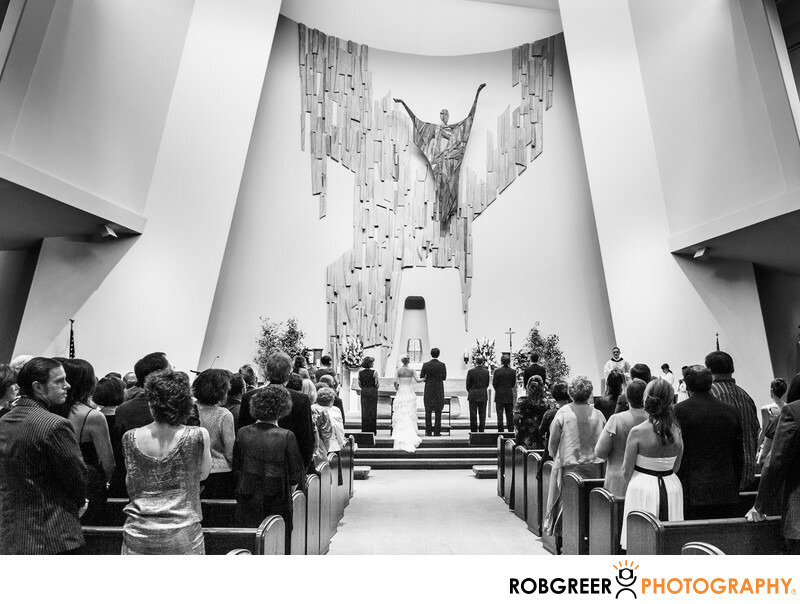 This black & white photograph features an overview of an indoor wedding ceremony at the St. Rita Catholic Church. St. Rita Catholic Church is located at 50 E Alegria Ave, Sierra Madre, CA 91024. Phone: (626) 355-1292. Website: http://st-rita.org. Location: 50 E Alegria Ave, Sierra Madre, CA 91024. 1/125; f/4.5; ISO 1600; 26.0 mm.